Childhood memories can be influential on our older selves. Looking through time passed, we find ourselves reminiscing for days gone by. For songwriter Joe Dillstrom, the ability to process and draw on these memories gives life to his songs. Growing up in Springfield, Joe remembers his mother taking him to diners like Aunt Martha’s and Anton’s. The older crowd at these places stuck in his mind. “A different part of our postwar Ozarks culture that was just fading away as I was getting older. The sort of remnants of the Route 66 mythology,” said Joe. The scene is set with a description that sounds like a Norman Rockwell painting. “A lot of wood paneling, checkered tablecloths, booths, old Chrysler, like, boxy cars, a tape deck with Jim Croce’s Greatest Hits,” he said. As he got older, Joe got into literature and began to draw inspiration from authors who employed a sense of regionalism in their works. Chekhov was a big influence in the way he wrote about people who were stuck in life and dealing with trivial details. Pulling everything together into one place, as if it were a giant swimming pool of ideas, Joe began to take the pieces he had picked up throughout life and put them together as lyrics. DeLillo’s lyrical cadence resonated with Joe’s memories of listening to Chuck Berry as a kid. “That sort of motor-mouth thing that he was able to do – I realized oh, there’s a connection in music between what Chuck Berry was doing as a lyricist and perhaps how Don DeLillo structures a sentence. And somewhere in the middle, I can cobble together something that will, is my own delivery system,” said Joe. With these heavy-hitting influences, the art of the writing was an inevitable path. Like writing novels, songwriting can be a soul-baring experience. Joe started writing songs from his point of view, but wasn’t terribly comfortable with it. Joe said, “For me, I could never get enough distance to where it didn’t sound really kind of contrived.” So he shifted his pronouns from first person to third and found the distance he was looking for. Visual art also plays a role in Joe’s lyrical inspiration, particularly the paintings of Edward Hopper and their connection to the post-war years. “I mean, take ‘Nighthawks,’ y’know, that’s a very, to me, not quite Ozarkian, but like, we have that tradition of breakfast diners and late-night spots, and y’know, for lack of a better term, American, that his stuff embodies. Right in that wheelhouse is the jukebox that is playing Chuck Berry, and then you have people, these isolated portraits of people trying to figure out their lives. They’re sort of modern characters in a Chekhov story. So, that’s maybe how those elements started to swirl, “said Joe. 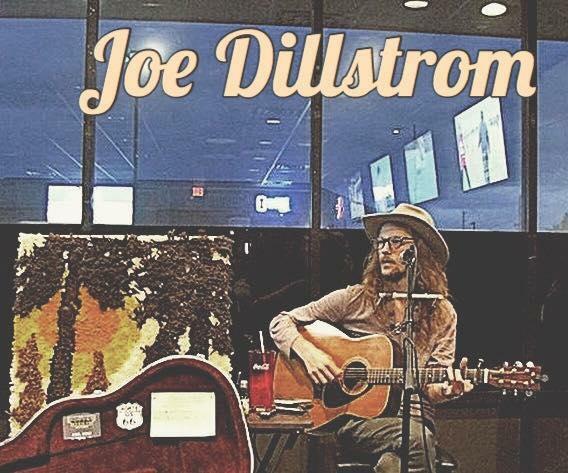 The conglomeration of diners, juke boxes, literary giants and post-war art has blended itself well in Joe Dillstrom’s music. As he told me, he’s just trying to paint our experiences with manipulated air. Not every local band records with a producer, but Failing Minnesota has spent the last year and a half working with producer Kevin Gates at Reach Audio on their first full-length album. I sat down with the band to find out how working so closely with a producer has influenced them. 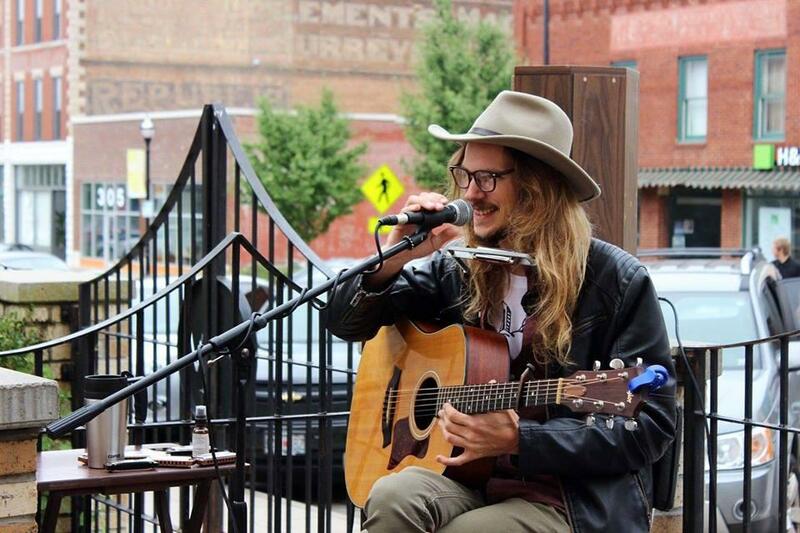 Vocalist and guitarist Michael Gandy remembers what it was like joining Failing Minnesota after they had already started recording. The HigLeeWils - Emily Higgins, Larry Lee, and David Wilson - were on Studio Live with hosts Jessica Balisle and Mike Smith. For more about the HigLeeWils, check out their episode of SoundCheck. When I listen to vocal groups with vibrant harmonies, I feel a rush of emotions from admiration to jealously. I’ve never been very good at it myself. But Emily Higgins, Larry Lee and David Wilson are. They’ve recently come together in a new trio that bursts with three-part harmonies. The group has dubbed themselves The HigLeeWils, taking a bit of each of their last names. But how does someone learn how to sing in harmony?